THE LEVANT – By Jamie Dettmer – The self-proclaimed Islamic State, formerly known by the acronym ISIS, is actively recruiting Western women and girls. And in the process this “caliphate” that now occupies large swathes of Syria and Iraq is showing, once again, that it’s almost as shrewd with social media as it is ruthless on the battlefield. The tweets and blogs apparently are written by Western women married to jihadi warriors. They aim to persuade would-be “sisters” in Europe and the United States to travel to the Middle East to help this al-Qaeda spinoff build its extremist vision of an Islamic society. Instead, the marketing focuses on what one analyst calls the “private sphere,” concentrating on the joys of jihadist family life and the “honor” of raising new fighters for Islam. The online recruiters stress the pleasure of providing the domesticity that a warrior waging jihad needs and by doing so serving Islam. But throughout Umm Layth’s posts and those written by other jihadist women there is a morbid obsession with martyrdom. “Allahu Akbar, there’s no way to describe the feeling of sitting with the Akhawat [sisters] waiting on news of whose Husband has attained Shahadah [martyrdom],” writes Umm Layth. According to analysts at SITE Intelligence Group, a U.S.-based organization that tracks online activity by terrorists, the recruiting efforts may have had some success. “By creating content specifically targeting female jihadi supporters, the Islamic State is able to establish a pipeline to assist Western women in traveling to Syria to marry jihadi fighters and contribute to the formation of their new society,” the analysts argue. In June, Britain’s interior minister, Theresa May, warned that it isn’t just young Western men leaving to join the Islamic State in Syria. “We think around 400 U.K.-linked individuals have gone out to fight in Syria, mainly young men but also some women,” she told ITV News. U.K. officials say only about a dozen British women have gone thus far, but they worry the numbers will rise with the increased online activity luring vulnerable women to Syria. There have been several reports of European women traveling to Syria to join up with jihadists there. In April, two Austrian girls, aged 15 and 16, went missing in Vienna and resurfaced in Syria. They are being sought by Interpol. In May, 16-year-old British twins sneaked out of their home in Manchester and traveled to Syria to become jihadi brides. Salma and Zahra Halane telephoned their parents to tell them they had arrived in the war-torn country and told them “we’re not coming back.” And in July, the FBI arrested Denver nurse Shannon Maureen Conley, a 19-year-old Muslim convert, as she boarded a plane to fly to Turkey for onward travel to Syria—she was recruited online, although in her case by a Tunisian man who claimed he was fighting for ISIS. In April, Umm Layth, who has more than 2,000 Twitter followers, distributed online an English-language “Diary of a Muhajirah [migrant]” providing point-by-point guidance on what these brides-to-be can should expect. There are no mentions of the public stoning that IS advocates for adultery, nor of the punishments for transgressing strict dress codes, but the constrained lifestyle and the material hardships Western women will face aren’t entirely glossed over. Umm Layth warns prospective recruits that the biggest problem in deciding to take the plunge and head to Syria might be opposition from family. “Even if you know how right this path and decision is and how your love for Allah comes before anything and everything, this is still an ache which only one [who] has been through and experienced it can understand. The first phone call you make once you cross the borders is one of the most difficult things you will ever have to do…when you hear them sob and beg like crazy on the phone for you to come back it’s so hard,” she writes. She adds: “Many people in present day do not understand…why a female would choose to make this decision. 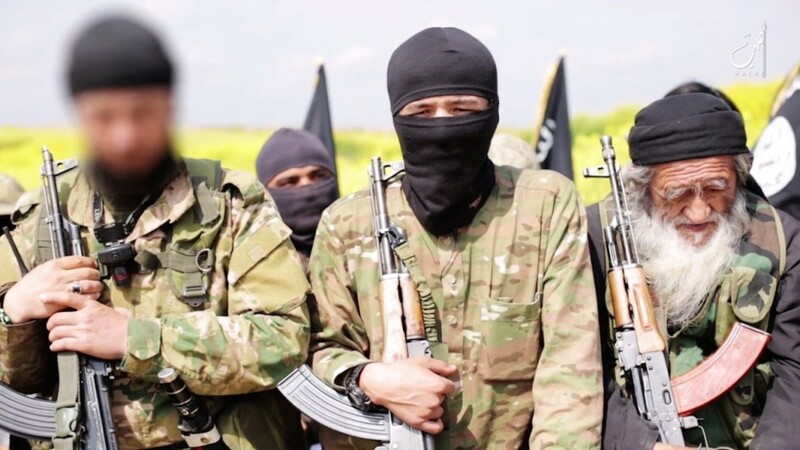 They will point fingers and say behind your back and to your families’ faces that you are taking part in…sexual jihad.” But there is no question that extremist groups try to reward their fighters with brides, however they can be obtained. One obvious example elsewhere is the mass kidnapping of schoolgirls by Boko Haram in Nigeria. Islamic State has opened a “marriage bureau” in the northern Syrian town of Al Bab for women who want to wed jihadist fighters in territory they control, according to the Syrian Observatory for Human Rights, a UK-based pro-opposition group that relies on activists on the ground for its information.